There are a lot of fiction collections around, and many get lost in the shuffle of the mundane. Not so with Freaksome Tales: Ten Hitherto Uncollected Stories of V. V. Swigferd Gloume. Why is this fiction collection unique, you may ask? Because there is no V. V. Swigferd Gloume. Gloume is the invention of author William Rosencrans, and this concept is an ingenious way to make this fiction collection stand out from the pack. None of that would matter, however, if the stories in the book were mediocre, but fortunately they also stand out. Let’s start with the cover. This is one attention-grabbing photo that lives up to the name of Freaksome. 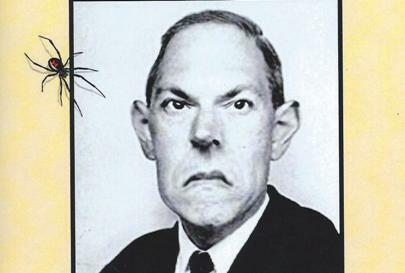 The cover shows a creepy-looking man that turns out to be a photo-shopped picture of H. P. Lovecraft. It gets even weirder from there…inside the book, on page 129, there are a couple of pages of black-and-white Victorian “family” photos. But let’s get back to the stories. Of course I cannot review them all, but I will discuss my favorites. “The Veil Betwixt” deals with something that if once done, is difficult to undo. A man decides to penetrate the veil over the universe and conjure up a goblin. Surprised at his success, he tries to send it back. “The Veil Betwixt” is a short but fast-paced story that almost runs away with itself. “The Hundred Doors of Kanhaksha the Mazdakite” is about the eccentric Knoal who has gathered curiosities from all over the world, stored in his creepy house. Part haunted house-story, part gruesome magic potion-story; this tale is set in India with all its exotic background. Probably my favorite in the book is titled “Flesh of my Flesh.” A young man lives in a desolate keep on top of a hill with his mother and his father, the latter lying dead in the keep’s mausoleum. When the young man finds a girl in the copse of trees, this discovery does not sit well with the mother. “The Hideous Dereliction of Mrs. Blaughducks” takes place in London and deals with a stranger who can astrally project himself through the human body’s digestive tract, right down to the sphincter. This is a deliciously gruesome story that is not for the faint of heart. All of the stories have a distinctive “English Victorian” feel, including the British spelling of words such as odour and humour. This book is gothic in style, yet is not written stiffly. Instead, Freaksome Tales flows quickly and darkly. Rosencrans effectively builds tension and suspense, and all is written descriptively. The horrors are there; but written in an oddly objective way that truly makes the scenes even more horrifying. 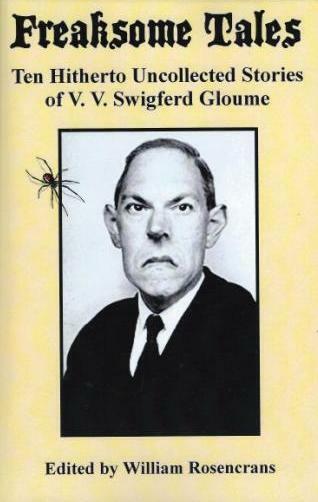 I recommend Freaksome Tales: Ten Hitherto Uncollected Stories of V. V. Swigferd Gloume. I have to say, in all my experience with The Horror Zine, I have never come across anything even remotely like it. Gimmick or brilliance? I am not sure, but whatever it is, it works. William Rosencrans was born and raised in New Orleans. He attended both the University of Texas at Austin and Tulane University, where he majored in English and medieval history. 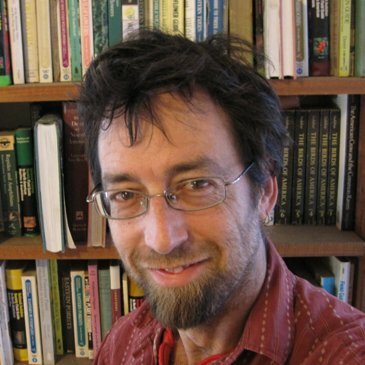 He currently lives in Asheville, North Carolina, where he works as a writer, copyeditor, and stonemason.